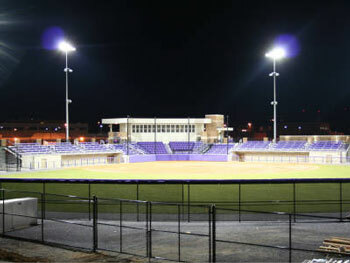 The complex, which opened in March of 2010, holds separate venues for both sports a seating capacity of 1,200 for baseball and 500 for softball. Both venues feature a top-of-the-line playing surface, comfortable spectator seating, spacious press boxes, restrooms, a merchandise area and concessions. 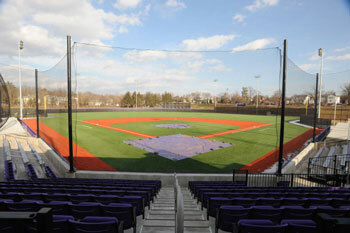 The baseball playing surface, consisting of artificial turf, was dedicated as Eagle Field in April of 2010. A monument at the entrance to the facility was dedicated on Veterans Day weekend during the fall of 2009 and honors all Harrisonburg and Rockingham County residents who were casualties of war. 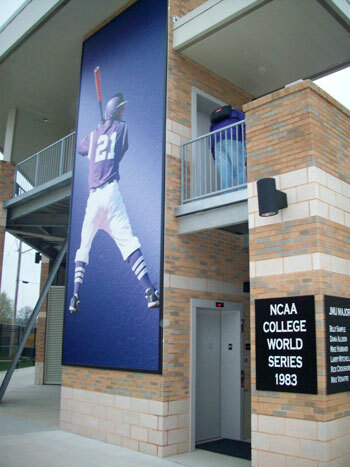 Memorial Hall houses offices for both programs as well as locker rooms, team rooms, weight rooms, a sports medicine area, batting cages and additional indoor practice space.